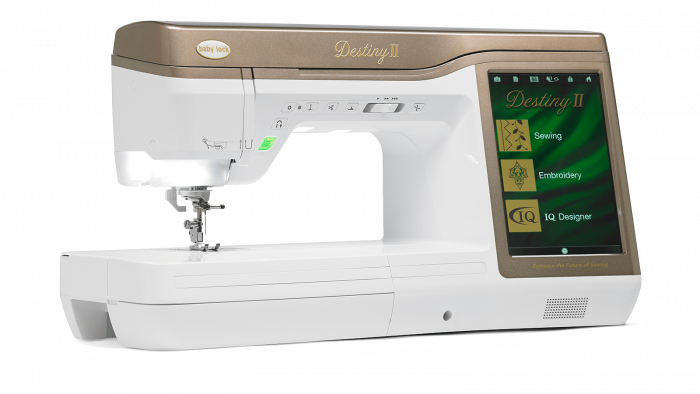 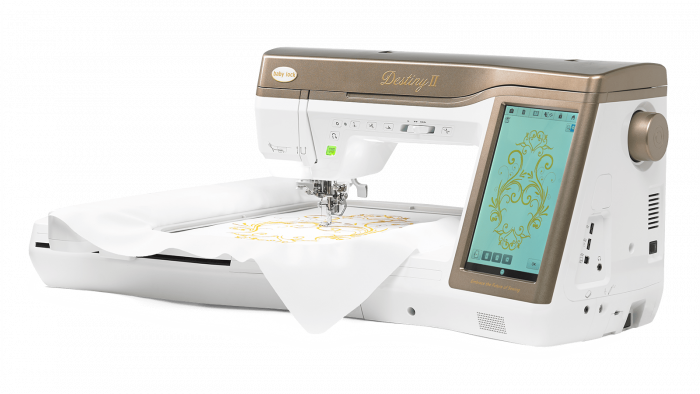 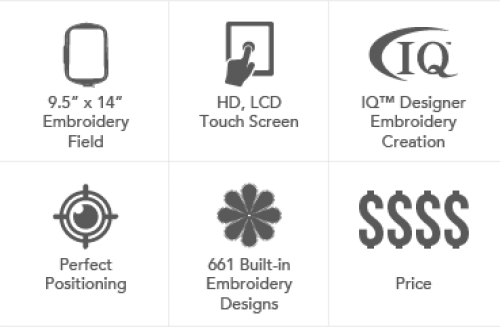 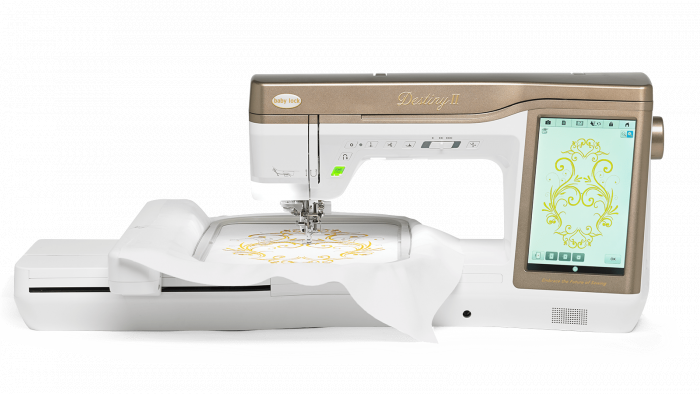 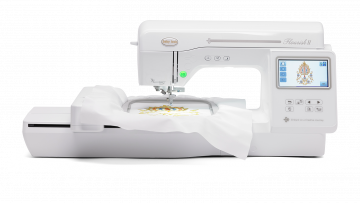 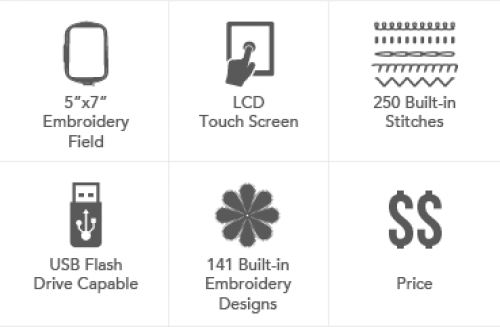 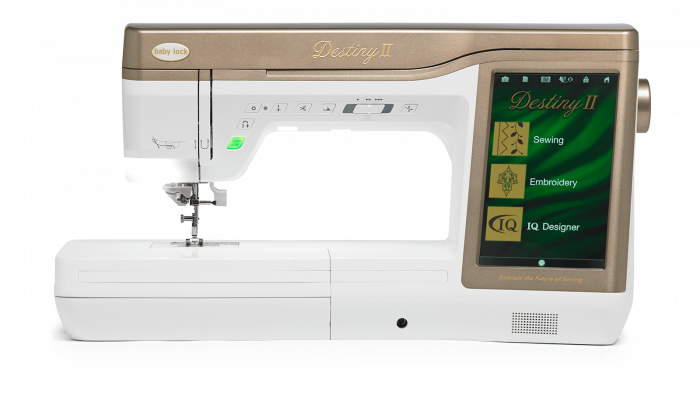 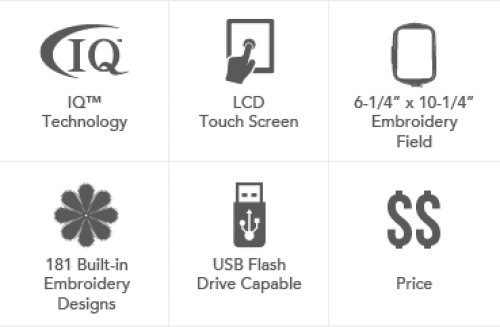 The workspace on the Destiny II makes it easy to sew larger projects and full-size quilts. 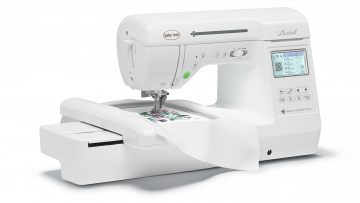 Stop and start sewing with the main pedal while the heel tap and side pedal handle two additional functions. 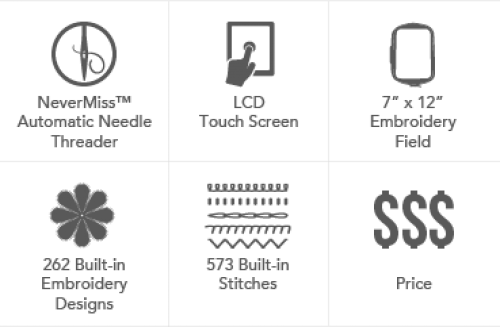 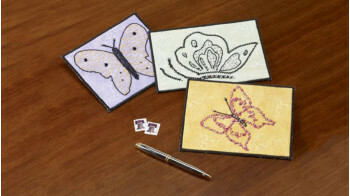 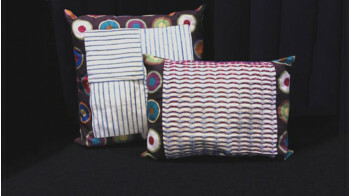 Select from single stitch, position needle up/down, thread cutting, and reverse stitch. 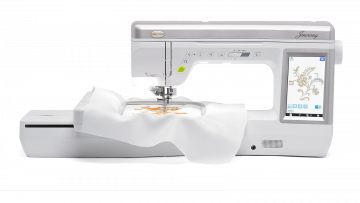 The knee lift allows for hands-free sewing.